Plus, it’s a great way to practice gratitude ❤. ﻿It could be something as simple as a mason jar, or you could splurge and get something fancy from a glassblowing artist or upscale shop like these jars here and here. 2. Write a gratitude letter, and put it inside the jar. The next step is to get a slip of paper, and write a note of gratitude to the person receiving the gift from you. Write from the heart about why they are so important to you - you could share something specific they did or a special memory. You could dress up the note with some pretty stationary, draw a little design, add some stickers, or include a photo of the two of you together. Once you’ve finished writing your letter, put it inside the jar. 3. Give The Gratitude Jar book with your jar. The final step is to include a copy of the book, The Gratitude Jar: A Simple Guide to Creating Miracles along with the jar to make it a complete gift set. 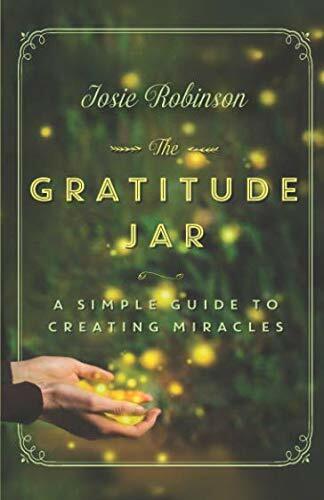 This is the book I wrote from MY heart about how using a gratitude jar healed and transformed my entire life, and how you can use a gratitude jar to do the same for yourself. The story is heartwarming and inspiring, and includes step-by-step instructions for exactly how to use a Gratitude Jar to create more joy and miracles in your life. This set is more than just a special gift, it’s an invitation to change your life, or the life of the person receiving it from you. Once you have you have your jar with your gratitude note tucked inside and a copy of The Gratitude Jar book, just put them all together in a nice gift bag and you’re all set! This Gratitude Jar Gift Set truly is a simple and beautiful way to share your gratitude with someone, and I hope whomever receives it from you treasures it for many years to come.